As co-founder of Creedence Clearwater Revival, JOHN FOGERTY’s career spans 50 years. He is regarded as one of the most influential musicians in rock history. 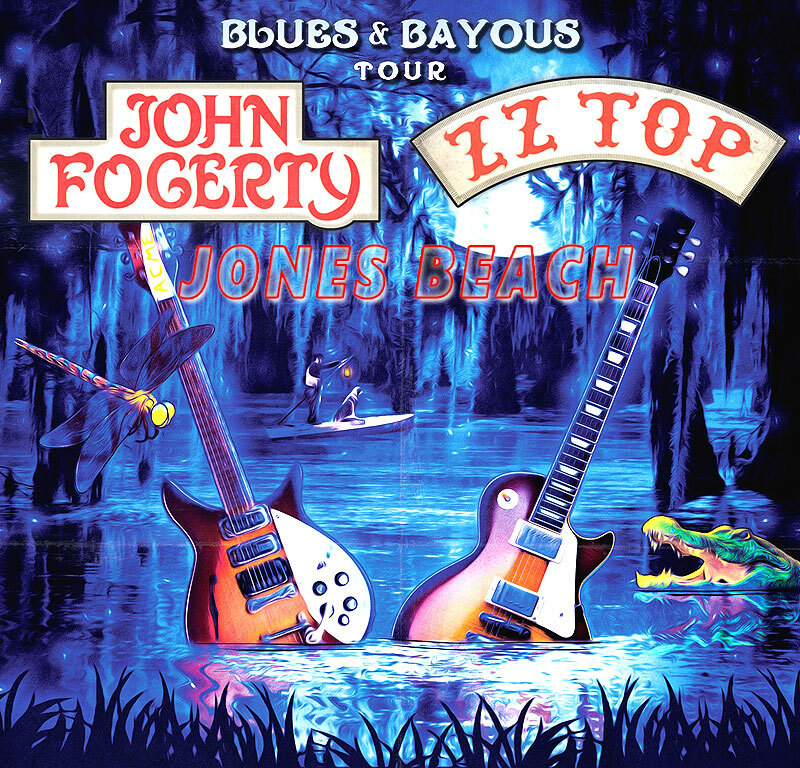 As the writer, singer and producer of numerous classic hits including “Born on the Bayou,” “Green River,” “Proud Mary” and “Bad Moon Rising,” Fogerty has been honored as one of the 100 Greatest Guitarists, 100 Greatest Songwriters, and 100 Greatest Singers by Rolling Stone magazine. He has been inducted into the Rock and Roll Hall of Fame and Songwriters Hall of Fame. ZZ TOP holds the distinction of being one of the longest running bands with the original line-up: Billy F. Gibbons, Dusty Hill and Frank Beard. The trio, which has sold more than 50 million albums worldwide, has also been inducted into the Rock and Roll Hall of Fame.